Teri Sforza is joining us today to speak to 2019 California Fellows on reporting on opioid abuse in California. To mark the occassion, we're sharing Sforza's hard-won insights from the months of dogged reporting that went into her "Born on Drugs" project, supported by a 2018 Impact Fund grant. — Ed. Perhaps I’m a wimp. The newborn baby … the morphine dropper at his tiny mouth … the way his little arms lunged for the mom who wasn’t there, who’d likely never be there. I still tear up every time I think about it. Our “Born on Drugs” project was sparked by a single spreadsheet showing the stunning rise in the number of drug-exposed infants born in California over the course of a decade. We came across those numbers as we reported for the Southern California News Group’s “Rehab Riviera” project, which detailed a deadly lack of standards and regulation in California’s addiction treatment industry. Our work prompted major changes to state and local law in 2018 that promise to make addiction treatment safer and more effective. The numbers showed that births of drug-exposed babies nearly tripled in California over the course of a decade. In some rural counties, they soared more than 600 percent. Our question was simple: What happens to these babies and their parents? The answers, of course, are anything but simple. And they proved maddeningly difficult to tease out — much harder than we expected. We sought answers from hospitals and addiction treatment centers geared to pregnant women and thought the story would be pretty straightforward and easy to grab. But hospitals and treatment centers didn’t much want to help. There was tremendous angst over informed consent and who could and could not give it. There were fears about running afoul of privacy laws and, I suspect, about what the people in the system might say in honest and unguarded moments. I’ve been a journalist for more than 30 years and have reported from inside drug treatment facilities before, so the resistance we encountered surprised me. It took months, and scores of phone calls and emails, before we found a hospital, counseling organizations and treatment centers willing to let us in to actually witness the process and begin to answer these questions. It is a story, mostly, of women, struggling with enormous burdens. But it turned out that what happened at the hospital and treatment centers was only part of the story. The fate of these parents and children spills over into California’s dependency court and child welfare systems. Perhaps the most awesome power of government outside a criminal court — where it can strip the guilty of liberty and condemn murderers to death — is its power to cleave children from their parents forever. In California, it’s a drama that plays out in these non-criminal dependency courts, where life-altering decisions are made beyond the reach of public scrutiny. Officially, California says that addiction is a contributing factor to just 12 percent of child welfare cases. But the reality is that it’s responsible for the overwhelming majority of cases that wind up in the system — perhaps as high as 70 or 80 percent, according to studies and people on the front lines. Because dependency court and child welfare records aren’t public, it’s terrifically hard to get an on-the-record assessment of what’s happening. We were denied access to dependency court proceedings. Judges who actively handle cases declined to speak on the record, for concern of saying anything that might indicate a bias one way or another. Social workers in Southern California — some under fire for the tragic deaths of children in the child welfare system — were also not eager to speak on the record. A secretive system whose emphasis on family reunification can come at the expense of child safety, putting vulnerable babies in danger. More than three-quarters of the child deaths due to abuse and neglect, and 60 percent of serious injuries due to same, occurred in families that Child Protective Services knew were problematic. While we know that the number of babies born drug-exposed has nearly tripled, we learned that it is only a partial picture of the problem: There is no mandatory screening for women and infants in California, so many births are likely happening under the radar. There is bias in the child welfare system, where parents with substance abuse problems often land. Even though white women delivered 40 percent of all drug-exposed infants in 2017, they were involved in only 28 percent of child welfare case openings. Hispanic women, who delivered 34 percent of drug-exposed newborns, were involved in almost half of case openings (49 percent). Black women were slightly overrepresented, accounting for 15 percent of births and 15.6 percent of case openings. While the number of kids in foster care has plunged by half since 2000, the number of infants in the system has risen some 9 percent. That's a function of addiction, experts say. California has no idea what role addiction actually plays in child abuse and neglect — because it does not ask. The amount of time parents get from the system to pull themselves together — typically about a year — is a fraction of the amount of time it takes to achieve sustained sobriety, according to the U.S. Surgeon General. 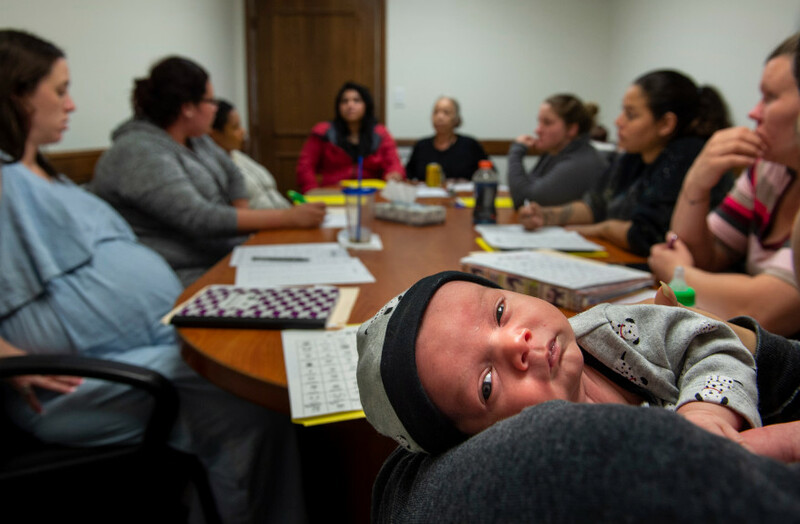 California's child welfare system doesn’t monitor drug-exposed infants as they grow into teens, which may mean misdiagnoses and run afoul of federal law. Dependency court case openings and closings by county through the years are available from the Judicial Council of California. How does your county stack up against others? How has it performed over time? Federal data from U.S. Department of Health and Human Services’ Children’s Bureau. There is so much here it can take weeks to pore through. National reports summarize state and county data — but the source data is available from your county, and reporters can and should ask for it. AFCARS is the federal Adoption and Foster Care Analysis and Reporting System, which collects information on children in foster care and those who have been adopted. NCANDS is the National Child Abuse and Neglect Data System, a voluntary data collection system that gathers information from all 50 states, the District of Columbia, and Puerto Rico about reports of child abuse and neglect. California no longer has a statewide Child Death Review Team, but many individual counties do. If yours does, get the reports going back several years and take a look at what’s happening. To get more detail about deaths and injuries of kids in your county, ask county Social Services for SOC 826 and SOC 826A forms. What happens to these children, and to their parents, has an impact on all of us. We are enormously thankful to the USC Annenberg Center for Health Journalism Impact Fund for helping us complete what turned out to be a much more complicated project than initially anticipated. The Impact Fund's support helped ensure we could devote the time needed to peel at least some of the layers of the onion back — and we will keep on the subject this year to peel back a few more layers. It has been enormously gratifying to raise the issue and start some debate.